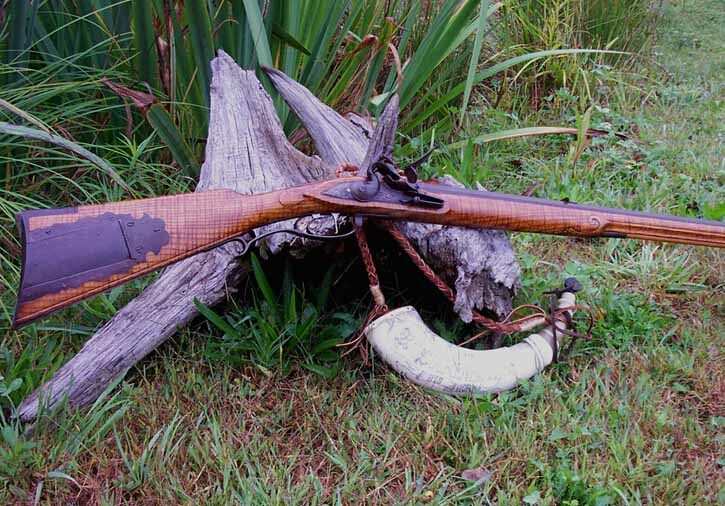 This gun was inspired by the work of F. Klette, Sevensburg,VA (RCA # 123) . 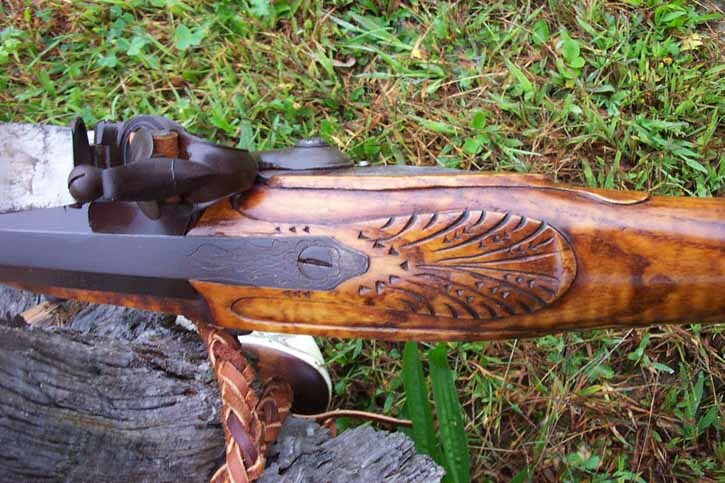 The gun was built using an outstanding piece of curly Ash. The wood is beautifully raise carved and then stained a honey brown color that reflects both the carving and the curl in the wood. The rifle has a 58 cal. 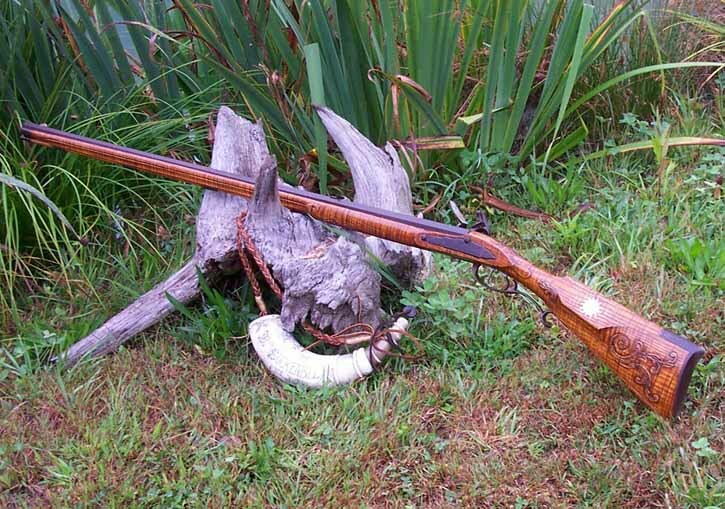 44”, C weight Colerain barrel, a Jim Chambers Virginia round face lock and a set of early Davis double set triggers. 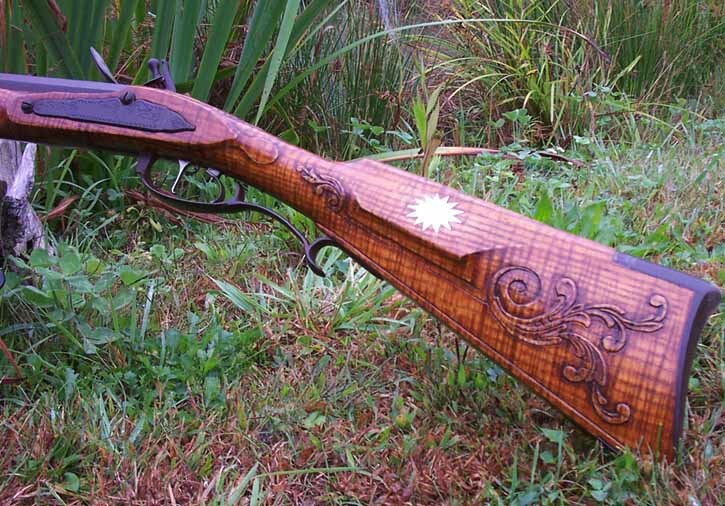 The gun is iron mounted and engraved. The 13 point cheek piece star is Sterling Silver and is engraved “United States, We are One” as on the Thomas rifle RCA 121.